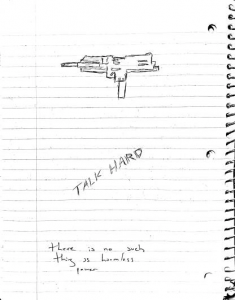 It was 20 years ago this weekend that Eric Harris & Dylan Klebold walked up to Columbine with guns drawn, Eric under the influence of the antidepressant Luvox & Dylan under the influence of Zoloft & Paxil, according to a report from his good friend attempting to help him withdraw from the medications. When they were done suffering the antidepressant side effects of both suicidal & homicidal ideation, 12 students laid dead, along with one school teacher, plus Eric & Dylan themselves. The victims were Cassie Bernall, 17, Steven Curnow, 14, Corey DePooter, 17, Kelly Fleming, 16, Matthew Kechter, Daniel Mauser, 15, Daniel Rohrbough, 15, Rachel Scott, 17, Isaiah Shoels, 18, John Tomlin, 16, Lauren Townsend, 18, Kyle Velasquez, 16, and school teacher William “Dave” Sanders. To that list I would also add as victims Eric Harris & Dylan Klebold because they too were victims of these deadly drugs which caused them to not only take all of these lives due to the side effect of homicidal ideation, but suicidal ideation as well, thereby losing their own lives as well by their own hands. We do know that the most dangerous time and taking these drugs is an abrupt change in dose…so any increase or decrease as in starting the drugs, stopping the drugs, or switching the drugs. Eric complained of homicidal ideation in six weeks of starting on Zoloft, so he was switched to Luvox (Spell the name of an SSRI differently & you get a different reaction, right? WRONG!) & within two months of the Columbine shooting Eric’s dose of Luvox was DOUBLED! 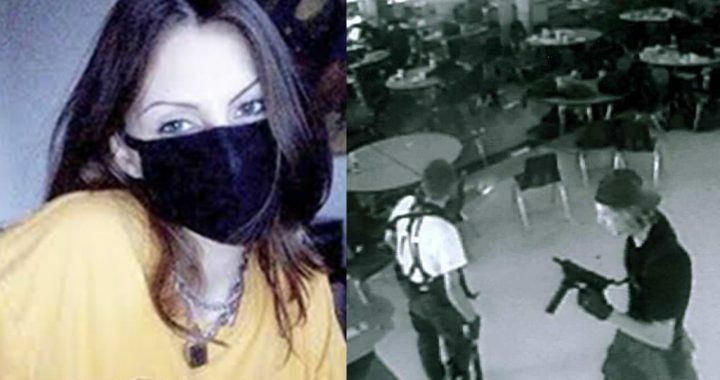 On Monday of this week Sol Pais, an 18 year old girl, from Miami, FL, who was obsessed with Columbine & the shooters, flew to Denver, CO, bought a shotgun & ammo, setting off a frenzy with concern of another school shooting & resulting in as many as 1000 Colorado schools being shut down! It was Facebook posts like this drawing she had on her computer that concerned investigators when they already knew she was fascinated with the Columbine shooting. She was found at the base of a tree & her “body was still clothed in the same camouflage pants and black T-shirt, and she had a small duffel bag that contained two boxes of shotgun shells” all within arm’s reach & certainly not suitable for the cold weather. The morning if April 20, 1999, I contacted Ruben Ortega, Chief of Police in Salt Lake City, to discuss with him the case of the Salt Lake LDS Family History Library shooting which happened 5 days earlier & had taken the life of my good friend Don Thomas. Don had been the security guard at the library for 28 years. Don & I had many long talks in the lobby of that very library about the dangers he was facing as a result of so many in Utah using antidepressants. I urged him over and over to be extremely careful in his position. I explained that as those on these drugs lose the memory of who they are they often turn to family history in an attempt to recall any memories to bind them to their loved ones. Sadly Don learned that lesson first hand that morning as he lost his life along with a woman who was a guest at the library before Salt Lake City police arrived shooting and killing the shooter 70 year old Sergei Babarin. Local media quickly reported that Sergey Babarin was schizophrenic, something he has never been diagnosed with and was not being treated for. This was especially a far reach when General Lee those suffering schizophrenia are diagnosed in their late teens or early twenties, not in their 60s or 70s! I owed it to my friend to learn the truth and do what I could to get that truth about his death out to the public and his family. My suspicions that this was an antidepressant-induced psychosis we’re quickly confirmed as the shooter’s son spoke to the media setting them straight on his antidepressant use. I soon met Sergei’s son let me know that his father had noticed his antidepressant what’s causing him the lose his eyesight just as we would later hear about the Germanwings pilot who flew 150 people to their deaths when he slammed a passenger plane into a Mountainside in the Alps. Because of his rapidly deteriorating eyesight, Sergei had abruptly discontinued the use of his antidepressant unaware of the extreme dangers of making abrupt changes to the dose of the drug. There were not and still are not any warnings about the drug withdrawal state known as REM Sleep Disorder – a condition we now know that 86% of those being diagnosed with this deadly sleep disorder, in which you act out nightmares in a sleep state, were found to be taking antidepressants. Yet before we learned that this was generally known as a drug withdrawal state. But now in knowing that u65 of those diagnosed with this deadly sleep disorder are currently taking an antidepressant, how high could it be for those in abrupt withdrawal from one of these drugs since in the past this was known mainly as a drug withdrawal state?! This is why behavior on these drugs is so very much the opposite of what the individual would normally do. Why it is the best moms who kill their children, the best firefighters who commit arson, etc. This is information that should be headline news about these drugs & the very first warning given to a patient being prescribed an antidepressant!!! Chief Ortega pointed out that the woman shooter was also on these drugs. He then asked if I thought what was happening in Colorado at Columbine High School as we were speaking could possibly be a result of these drugs as well. I replied that I do not generally see two people go off the deep end at the same time on these drugs. But I told him that if these boys ended up killing themselves after the shooting I would be almost certain that they were taking antidepressants. Ironically when I checked timelines I found that I was making that statement right about the same time Eric and Dylan were committing suicide! The chief has been asked if I would join him in doing a press conference on this subject. I agreed. But sadly very shortly after that Chief Ortega retired after learning his wife was dying of cancer. They quickly moved back to their home in Phoenix Arizona where he had previously served as police chief for Phoenix. So the opportunity of doing a press conference it was no longer possible. Only days after Columbine we learned from a neighbor of Eric Harris that he had recently been turned down for the military because he was taking the antidepressant Luvox. Interestingly I learned that information on Eric’s antidepressant use as I was about to do a radio interview with a local station in Salt Lake City along with a Japanese Associated Press reporter who was sent to Utah to spend a week with me to learn more about these drugs because the antidepressant Luvox was about to be released in Japan as the first SSRI antidepressant in that country! Needless to say, the look upon the reporters face as that news came across the wire was one of total shock and disbelief! 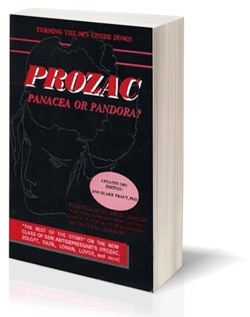 Actually, because he had already read my book on antidepressants, Prozac Panacea or Pandora? Our Serotonin Nightmare!, his disbelief was not centered in the science behind how these drugs could have played an in the violence produced at Columbine. Rather his disbelief was in how ironic it was that it was the same drug that his own country was about to face as their first experience with these drugs. In fact, it was only a month or two later after him returning home that he called to let me know that they had just had a case of a man on Luvox kill a pilot with a knife and take over a passenger plane! 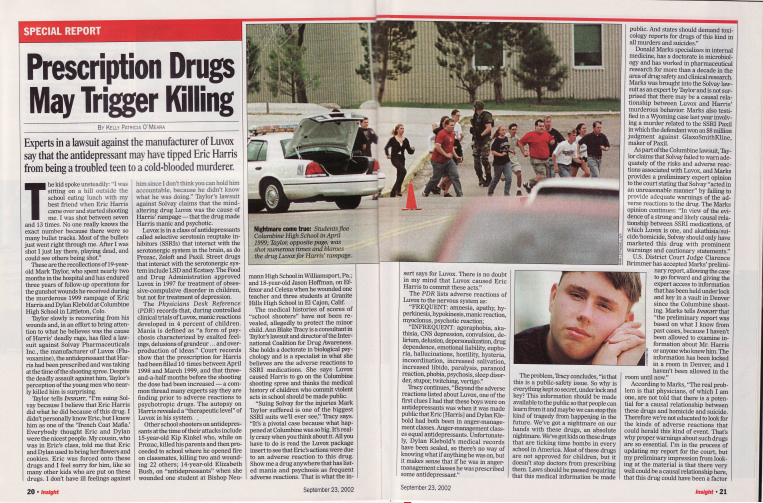 The newspaper USA Today ran an article on the 10th anniversary of Columbine entitled “The Myths of Columbine”. I believe it was myth #2 that the shooters were taking antidepressants! 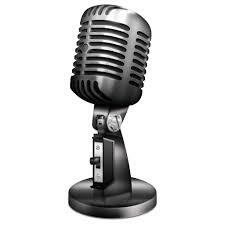 I immediately contacted the reporter to ask him how he had missed one of the biggest lawsuits filed in the last decade. Of course, he immediately knew I was talking about Columbine survivor Mark Taylor’s case against Solvay causing their drug Luvox to shoot Mark 6 -13 times that day.and he replied, “Oh you mean the Luvox? I guess I better change that.” I learned later that Dr. Peter Bretton had also contacted the reporter with the same information. But instead, the reporter made no changes within the week he had to do so allowing that false information to be spread nationwide that weekend. To this day I still have people telling me that Eric and Dylan were not on any antidepressants! And now for the 20th Anniversary at Columbine current students there have joined together with David Hogg in his movement for gun control, “March for Our Lives”, to promote stickers to be placed on student IDs requesting that in the case they die of gun violence that pictures of their bodies be published for the world to see. Mark Taylor was known as the “Columbine Wonder Boy” after he survived 6 – 13 gunshots at Columbine He was so bad that the doctor at the hospital called Mark’s family doctor to say, “I have one of your patients here. He is dead but he’s talking to me!” That will give you some idea of how badly he was damaged. But when I shared this new idea on the sticker for IDs with Mark he was puzzled by the idea & wondered out loud what good they thought that would do in stopping these shootings. The fake news you have heard about since President Trump came into office has actually been around for many years now! This is how Pharma bury’s the truth about their drugs! One lie on top of another until no one knows what the truth really is! Learning from history is extremely important! When that history is falsified people are harmed and die as a result. A perfect example of that is what has happened in Parkland, Florida this past year. After the school shooting there all people heard about were the guns & not the shooter’s nearly life – long history of using these drugs that increase serotonin & thereby produce extreme violence. In fact, the survivors have been lied to, unlike anything I have heard to date! If you have the stomach to listen to those lies by clicking the following link to listen to a PhD from Columbia publicly state, contrary to FDA warnings, even Black Box Warnings, that antidepressants absolutely do not cause suicide and that that suffering grief over the loss of their friends should most definitely be given these drugs for treatment! Obviously, this woman has not read the court testimony of her colleague at Columbia, Dr. John Mann, who has studied the effects of inhibiting serotonin (considered the therapeutic effect of SSRIs) for decades. In 2001 Dr. Mann was compelled to testify under oath that the expected result of these antidepressants inhibiting serotonin metabolism would be “impulsive murder or suicide”! So not only is she going against FDA warnings, FDA Black Box Warnings, but also against the court testimony of her own colleague who is considered one of the leading experts on serotonin! As a result of this within the past few weeks, we have seen two of those young survivors commit suicide! I have little doubt the first one was taking antidepressants because she had already been given a label of PTSD from “Survivor’s Guilt. Couple that with the very violent method of suicide by shooting herself – violence is rarely seen in women before the introduction of the SSRI antidepressants & it becomes quite clear she was being given one of these drugs. I am still waiting for more information on the second suicide. But yet another shocking case happened in Connecticut where a father who lost his daughter at Sandy Hook, a neuropsychopharmacologist flew to Florida to lecture to the kids from Parkland just before these two suicides. He too killed himself only days after the second survivor’s suicide! And I don’t think it would take a rocket scientist to figure out that a neuropsychopharmacologist would also be on one of these drugs that he was promoting to these children. UTAH Call To Action TODAY!!! Also just revealed is the fact that 25% of the women in Utah are taking antidepressants, so if the state does not wake up immediately to the dangers of these drugs Utah will see over the next few months a Serotonin Nightmare beyond comprehension as 25% of women in Utah will be a suicidal nightmare or “going postal”! And that does not tell us how many more men & children will be affected as well. With the fact that Utah’s teen suicide rate tripled while the rest of the world doubled their teen suicide rate in the decade since Black Box Warnings for suicide were placed on the drugs, this is the last thing the youth of Utah needed! This Second Amendment rights group is doing what our groups should be doing if they were not all so sick from taking these drugs! But it is long overdue that the world wake up to this Serotonin Nightmare which now engulfs our world! 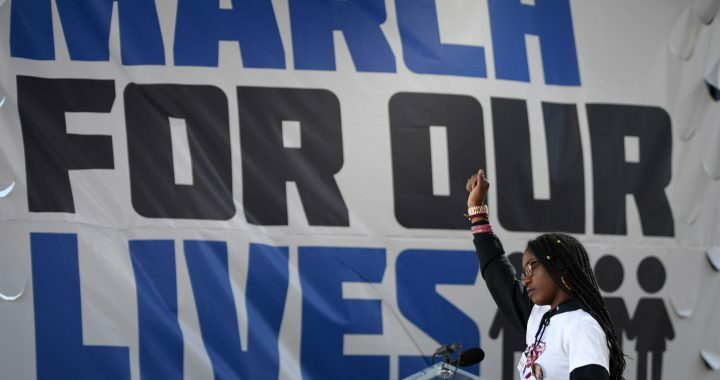 These kids from Florida who are finally speaking out NEED to know the truth behind the cause of school shootings! PLEASE ATTEND BOTH IF POSSIBLE – IT WILL SAVE LIVES!!! 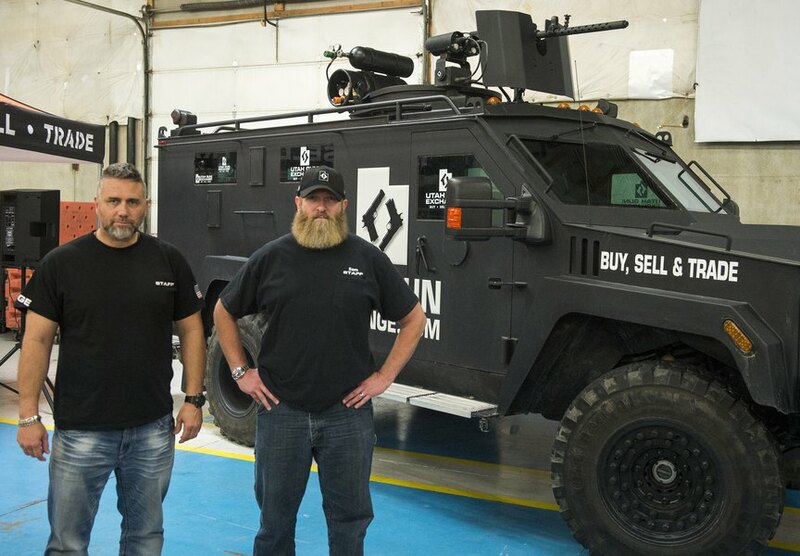 …Corey Baadsgard, the only school shooter to ever speak out explaining why he took a gun to school & warning the world to stop drugging their children! …Michael Moore stating all the reasons his movie “Bowling for Columbine” gave for the cause of that first high profile school shooting was “BS” & these antidepressants were the obvious reason these two normal boys with high IQs went off the deep end! How sad and tragic that these children are being exploited by getting them to focus on guns as the issue in school violence while allowing the real perpetrators of this violence to not only go free, but to increase the profits of the perpetrators as well as increasing the violence by missing the obvious! After the 3 decades I have spent tracking, investigating & documenting all these tragedies I wonder how long it can possibly take to wake up society to the blatantly obvious?!!! Allow me to explain. Do guns carry a warning that owning one will cause homicidal & suicidal ideation (Which is obsessive compulsive thoughts of killing oneself or others along with ruminating thoughts of various methods of killing)? Do bathtubs carry such a warning? Kitchen knives? Bombs? Cars? Buses? Machetes? Hammers? Baseball bats? Crow bars? Hachets? Axes? Shovels? Cross bows? Chain saws? Circular saws? Cars? Buses? Trucks? Planes? No, not one of them carry those warnings even though I have seen all of those used as weapons in these cases of mass violence. So are we going to ban all of these as well? Of course not! That common denominator you see in these cases is the one big difference we have seen in our society since these nightmares began flooding our world – drugs we call antidepressants! These are drugs identical in action to a slow acting or gradual PCP or LSD effect leading one into hallucinations, suicide, violent crime & psychotic breaks, which reactions have been found to occur at a far higher rate in those under age 25 whose brains are yet developing!! 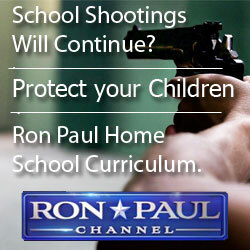 Watch this short video interview of the only school shooter to ever explain why he took a gun to School – a hard working 16 year old farm boy, who was very close to his parents, head of his church’s youth group, good student who was finishing up his Eagle Scout & preparing to serve a two year mission for his church. His only “mental illness”? He was shy!…. Now watch this 3 minute video of Mark Taylor, the Columbine Miracle Boy, who survived 7 to 13 bullets that day, as he lays blame at the feet of the FDA, those partially responsible for causing Columbine…. Click this link to learn the science behind violence being caused by elevated serotonin levels – exactly what antidepressants are designed to create in the human brain! …. see two of my three minute testimonies before the FDA Advisory Committee on Antidepressants & the impact they’re having upon our society as a whole. Then listen to one of my most favorite lectures I gave before several thousand at a Young Living Oils convention, along with fellow speakers Dr. Joseph Mercola & actor Clint Walker of the TV series Gunsmoke. Today, Thursday, April 20, 2017, marks the 18th anniversary of the mass shooting at Columbine High School in Littleton, Colorado and marks the day after Barry Loukitis, in one of the first school shootings in this country, was once again given 189 years for killing a teacher and two classmates in Moses Lake, WA while no mention of these drugs and the role they played in that case has ever been mentioned in his defense! And while the real guilty parties in these school shootings continue to live in plush luxury with no repercussions whatsoever to this day! The day this happened I was on the phone with Ruben Ortega, Chief of Police in Salt Lake City, discussing with him some local tragedies to help him to understand the impact of these drugs upon the community he served and the public as a whole. The Salt Lake Family History Library shooting had recently happened with an elderly Russian man killing two before being shot. That elderly Russian man had an experience very similar to the German Wings pilot who two years ago took a plane with 150 to their deaths as he flew it into a mountain side in the Alps. This elderly Russian man noticed that he was losing his eyesight as a result of his antidepressant so he just stopped taking it with NO IDEA what that can cause! (If you see the REM Sleep Disorder listed in the Evidence section on School Shootings you will see the reaction he had that morning on his daily walk past the Family History Library as he opened fire killing one of my dear friends, Don Thomas, whom I had warned over and over again about the danger he was in there as the Family History Library security guard.) As Chief Ortega learned more and more about how these drugs work and how they can produce psychosis and violence and are so very similar in action to a slow fuse LSD or PCP he mentioned that was the case in the recent KSL shooting as well. The woman who came into that building shooting and killing a woman who worked there and her unborn child was also on one of these drugs. He then asked me, “Do you think what is going on right now in that school shooting in Littleton, CO could be caused by these drugs as well?” I replied that I did not generally see a case where two people go off the deep end on these drugs at the same time, but if they commit suicide too, you can bet it is one of these cases.” I was to later learn that about the same time I was making that statement to Chief Ortega is when Eric and Dylan lost their lives to the suicidal ideation we now have warnings are doubled for those under the age of 25 who take these drugs. Please watch Mark Taylor’s Fight For Columbine to see how this tragedy has never gone away for Mark and has only gotten worse for him after he filed suit against the antidepressant maker of Luvox . Luvox is the antidepressant Eric Harris was taking when he shot Mark. And before anyone starts in on we don’t have any evidence of Dylan being on anything you need to know that a girlfriend of Dylan’s came to Mark Taylor’s mother and then spoke with me about trying to help Dylan come off his Zoloft and Paxil (the same drug found guilty in the suicide of one of the nations’ leading attorneys. Gotta Love It!!!! Great New Stress Therapy Video! 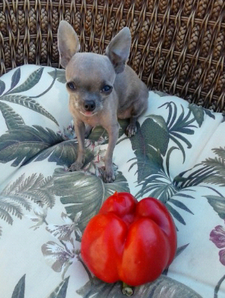 Baby Blue with her favorite food – a red pepper! And before her it was her uncle Kito who accompanied us to DC to march in front of the White House in August of 2005 wearing one of the bumper stickers Mark Taylor from Columbine designed for the International Coalition for Drug Awareness with the statement: WARNING! Antidepressants Kill! In the beginning I had NO idea the overwhelming opposition I would face in my attempt to point out the obvious faults in the hypothesis behind these new antidepressants. I quickly learned that opposition was due to the massive amount of income produced by this group of drugs. But when I saw the damaging results I have seen from these drugs upon our society, I was determined to help save the lives of so many that are being needlessly lost. So concerned was I about the violence we were seeing in women and children I called the NRA and asked them to help me warn of the dangers of these drugs telling them that in the end these drugs would be the means by which enough violence would be produced that there would be a call to take America’s guns. Two decades later that is exactly where we are. Once you understand the science behind the drugs you will be able to see that such a prediction was only simple deduction. Most important to learn is that SSRI (selective serotonin reuptake inhibitors) antidepressants are the most similar drugs to LSD and PCP– long known to produce indescribable violence, we have ever seen. Yet LSD, was patented in 1956 by Eli Lilly, the makers of Prozac which was the first of these SSRI antidepressants to be produced. They marketed LSD as a cure for mental illness and alcoholism and as an aid in psychoanalysis even though initially LSD was introduced by Sandoz Pharmaceuticals as a way to chemically induce insanity in someone so that scientists could then determine what was the root cause OF insanity. PCP was introduced by Parke Davis Pharmaceutical and thought to be such a safe and effective prescription drug that it was on the market 7 years before pulling it. Its removal from the market was NOT due to concerns of the AMA or FDA, but at the insistence of law enforcement and judges who were tired of dealing with the violence produced by the drug. In fact over the past decade now scientists have even suggested that Ketamine (Special K), a sister drug to PCP, is the perfect antidepressant … with only one major drawback being the hallucinations/psychosis it produces. Of course since PCP and Ketamine are anesthetics they should know the drugs would stop all feeling, but do we really want a huge portion of society walking around under anesthesia? Yet since these antidepressants are so similar in action that is exactly what we have now. As you look at the following information I believe you will agree that it is time for state and local authorities to take action. Another very serious issue I have been tracking this entire time is the problems in the military with these drugs. Hopefully you noticed the last two mass shootings in the military, the Navy Yard shooting and the Fort Hood shooting were both committed by someone taking antidepressants. Besides that since about 2007 the number of suicides in the military have outnumbered the deaths in battle – a first in our military while young recruits are being told they must take these antidepressants to go into combat. At this point we now have 660 suicides and another 1600 suicide attempts per month! I know the very large majority are being caused by these drugs, but it needs to be documented and then it needs to stop! It is also important to note that I just testified before the Danish Parliament on the brain damage, endocrine damage and terrible long term withdrawal associated with antidepressants. Critical to understand is that the FDA has issued warnings that ANY abrupt change in dose of an antidepressant (whether increasing or decreasing the dose) can produce suicide, hostility, and/or psychosis. The withdrawal MUST be extremely (months and even years) in order to avoid these deadly effects! Please feel free to contact me after viewing this information if I can answer any question left unanswered or if I can be of any further assistance. In Moscow today a high achieving student walked into his school with a rifle and gunned down a teacher and a police officer before his own father was able to persuade him to surrender the gun. The father first spoke with his son over the phone and then in person after he raced to the school. Now the boy will undergo a mental evaluation. In the fall of 2007 a camera crew from a Russian news station came to my home in Des Moines, IA to interview me, film me giving a lecture to a group, and follow me around for a day. Their goal was to prevent what they saw here in America from happening in Russia by getting the truth about antidepressants and violence to the people of Russia. The news crew even went to Israel to interview a young Russian woman who was one of the early cases I worked on. She and her Israeli fiancé had been attending school at the University of Utah when he first contacted me. She had started on birth control pills which caused her some very serious psychiatric side effects. So she was put on what was thought to be the “cure all” at the time, Prozac. After being put on Prozac she became psychotic/manic so she was hospitalized at that point and they dropped her off Prozac to put her on Paxil! Of course that only made matters far worse and she became so suicidal that her fiancé could not allow her out of his sight even for a minute to go to the bathroom alone or she would attempt suicide again. So her fiancé, a brain chemist who felt he should have recognized this sooner, handcuffed her to him in order to save her life. One interesting thing they told me is that even though they were atheists the only way they could describe her was as if she were possessed. She would even speak in a man’s voice. They are doing very well. Both have graduated in their fields and have a family of their own now and they know to NEVER EVER take an antidepressant! She even traveled with me to Denver to testify to the Colorado congressmen looking into the cause of the shooting at Columbine. “The symptoms I see in patients who abuse serotonergic drugs of any form…could aptly be described as the “Hitler syndrome” (over confidence in ones own policies or decisions, no fear of consequences, criminal behavior, death of people close to the abuser as the preferred method of solving problems in the abusers life, coldness and lack of humanity). I feel that in twenty years or less we will be confronted not with one Hitler but with thousands or millions… numbers so great that we will be forced to interact with their distorted thinking on a daily basis. (Littleton, CO., Riverton, KS., Jonesboro, AR., eventually little Hitlers in every town in America will grow up into BIG HITLERS) It is happening right now. “The most insidious factor about long-term serotonin abuse is that it enhances the individuals persona to the point that they are able to manipulate others into their way of thinking just as Hitler did. This causes the distorted thinking, abnormal behavior, and loss of morality to spread like a contagion to otherwise normal people who have not even been exposed to the drugs. Those on the drugs are converted by the pharmacologic/physiologic processes into sociopathic demagogues. Absolutely perfect Paul Pezzack!!! You have done it again!!! Nobody does it better or says it better than you have done here in pointing out this perfect example of Adam Lanza’s “Prozac Eyes”!!! When you look at the next picture of Adam posted below at the age of about 12-13 he is a normal looking happy boy, but even in this picture his eyes are beginning to give away the signs of the presence of the antidepressant that will over the next few years rob Adam of both his physical and mental health. It can clearly be seen in the later photos like the one you have posted here where those results are obvious as he slowly begins to appear to be a totally different person. 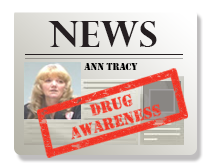 The eyes and overall general appearance demonstrate the toll taken over the years by these drugs! Call an endocrinologist and ask how long the body/brain can survive a doubling of cortisol on a daily basis – exactly what studies demonstrate to be the effect of one 30mg dose of Prozac, whose mode of action is little different than any other SSRI antidepressant. When research demonstrates that 64% of those with Autistic Spectrum Disorders are given antidepressants and approximately 97% of school violence has been committed by someone on antidepressants, the Prozac eyes only confirm what the evidence already indicates is more than highly probable. People need to understand that when Adam Lanza killed his mother any record of what medication Adam was currently taking, other than the data contained within his medical records, most likely died with her. It has already been established in media reports that she shared little about Adam’s health or the treatment he was receiving with anyone else. And now we have a man who is suppose to be the Assistant Attorney General for the State of Connecticut but can barely speak any English telling us the public has no legitimate need to know what is in Adam Lanza’s medical records. After listening to his statement in the video below it becomes all too clear that these officials KNOW and are intentionally hiding the fact that Adam was on an antidepressant just as approximately 97% of all the other school shooters have been (http://www.drugawareness.org/ssri-nightmares/school-shootings/). Why else are they saying that they do not want to disclose this information and it is not important for the public to be made aware of this because then they may decide after learning that information to come off their antidepressant?!!! So if there are no antidepressants sir, why not at least let us know that? So my question is … are they also going to refuse to tell us what happens if we stand in front of a speeding locomotive because we might choose not to stand in front of a speeding locomotive? Hmmm…what am I missing?!! I will stand with Judge John Potter on this issue Mr. Assistant Attorney General. As presiding judge over the Joseph Wesbecker case, where eight died in a Prozac-induced murder/suicide in Louisville, KY, Judge Potter spent two years investigating the verdict in that case. His reason? He believed Eli Lilly, makers of Prozac, had secretly settled with the families of the victims to get them to stop presenting evidence so that they could get a not guilty verdict and voice publicly that Prozac was not the cause of this tragedy, which they did. Two years later it was exposed by Judge Potter as an actual paid settlement amounting to at least tens of millions of dollars. He said his reason for doing this was because knowing Prozac was to blame for those eight deaths is a public safety issue that this information needed be made available publicly. I will tell you that in 25 years of fighting this battle for the truth about antidepressants I have NEVER before seen a more blatant assumption of total ignorance on the part of the general public than this ridiculous statement out of the Connecticut Attorney General’s Office! Let it go on record that I am offended Mr. Assistant Attorney General and so should every American on the planet be offended, not to mention the slap in the face this is to all the loved ones of those who lost their lives that day! I thank you for making this cover-up of the truth so strikingly obvious to us all! Whatever you do … DO NOT miss the following video of the meeting with the Connecticut Assistant Attorney General including his statement in the video below! Then read the evidence which the Attorney General’s office is ignoring on the antidepressant connection to school shootings below the video and share this information with all you know! I heard that same argument from the attorneys at Oprah when I presented the list of mothers who had killed their children I had investigated in the early and mid 90’s. But about 90% of those moms were taking antidepressants. Now I would prefer, as I believe most would, to know about that common denominator in the cases whether we have yet determined a causal link or not. No matter the common denominator, especially when that common denominator is known to change behavior, I would want to know and so would any good law enforcement investigator. Perhaps Mr. Kwanashie should consider the only other mass murder/suicide like this in the state of Connecticut referred to in news reports at the time of the Sandy Hook shooting. That is the case in Newington, Connecticut of lottery worker, Matthew Beck, 35, who in early morning, in March of 1998, chased co-workers through the lottery offices gunning down four of them before shooting himself. Matthew had worked in this position for eight years and had just returned from medical leave for stress. He was taking the same antidepressant that Eric Harris was taking when he shot his classmates at Columbine, Luvox. His parents made this information available to me and they have continued to follow our work at the International Coalition for Drug Awareness ever since then knowing full well the antidepressant was the cause of their son’s actions. Next Mr. Kwanashie should check for any precedent setting cases in the state of Connecticut where he would find the case of a Stamford, Connecticut attorney, Eric Witlin, who was found not guilty after shooting at a motorist twice and then breaking into his ex-wife’s home with a gun in hand. In that case Senior Assistant State’s Attorney James Bernardi said Witlin’s mental state of psychosis on the night of the incident was uncontested, since both psychiatrists, defense as well as prosecution, agreed. What they both testified to was that Witlin’s actions stemmed from a psychotic episode brought on by Adderall, prescribed for attention deficit, and the antidepressant Prozac. So it would appear that the courts in Connecticut have already determined that there is a causal connection between antidepressants and homicidal actions Mr. Kwanashie and they felt that information “legitimate” enough to issue a not-guilty verdict based upon the conclusion that Mr. Witlin’s actions were caused by the use of those medications. Sandy Hook was a murder case and in a murder case toxicology is always a critical piece of the puzzle! Unless, as I mentioned above, you are withholding that information for Obama to issue the executive order he issued on January 3, 2014 designed to limit the second amendment to restrict guns from those who are the so called “mentally ill” – I say so called mentally ill because when it is medication-induced it is a temporary psychotic break that dissipates when the drug flushes from the system, not a valid mental illness. Karol Truman, author of the excellent book “Feelings Buried Alive Never Die,” which I recommend in my book on the dangers of antidepressants is a dear friend of mine. Last week Karol sent me her son Dan’s latest release and asked me to share it with others. Dan is in the popular Country Western group, Diamond Rio. So….for all of you parents missing a child this Christmas, husbands missing a wife, wives missing a husband, children missing a parent, friend’s missing a friend or relative, etc. I dedicate this song to you with the hope that through its message you will find hope in the gift brought to us all from the Christ Child born on this day so long ago whose Father also lost His Son in order for us all to be together again. I too believe. At the makeshift memorial at Arapahoe High School today many came to say their goodbyes. Shannon Wilhelm cried and held her son tightly in her arms. “Being a parent, the fact that you have to lose your child around the holidays or any time, it’s just not something you want anyone to go through,” she said. Last Friday Karl Pierson set off one of the incendiary devices he brought into Arapahoe High School just eight miles from Columbine and fired five shots before killing himself just one minute and 20 seconds after entering the building and being confronted by an armed guard. In that minute and 20 seconds he also shot 17 year old Claire Davis who was just sitting with a friend. Sadly today Claire Davis the high school senior shot last week in the Arapahoe High School shooting died at 4:29 p.m. in the Littleton Adventist Hospital after eight days on life support. Even though we have not had the opportunity to visit for several months now, Claire passed away in Littleton at the same time I was visiting over the phone with Mark Taylor in Denver. Mark was the first boy shot at Columbine High School. Ironically Claire reminds me so much of Rachel Scott, the first girl shot at Columbine High School. Besides looking so much alike, they both were so very sweet and caring – beautiful on the outside as well as beautiful on the inside. Although we do not know yet if Karl was prescribed an antidepressant which could have contributed to his violent behavior and suicidal behavior, both adverse drug reactions known to double in this age group if given an antidepressant. We do know that 68 out of the 70 school violence incidents investigated thus far have found a perpetrator on an antidepressant: http://www.drugawareness.org/ssri-nightmares/school-shootings/ Increasing serotonin – the mode of action of antidepressants – has LONG been known to produce impulsive murder and suicide http://www.drugawareness.org/fda-testimony/dr-ann-blake-tracys-september-13-2004-to-the-fda . As I have said so many times before, our world cannot afford these losses! We have lost far too many loving, caring, and brilliant individuals. We need them here! We cannot afford to let any more of them leave! Something must be done to prevent this from continuing! 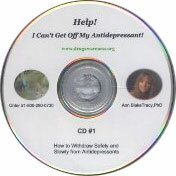 WITHDRAWAL WARNING: In sharing this information about adverse reactions to antidepressants I always recommend that you also give reference to my CD on safe withdrawal, “Help! I Can’t Get Off My Antidepressant!”, so that we do not have more people dropping off these drugs too quickly – a move which I have warned from the beginning can be even more dangerous than staying on the drugs!